In this exclusive audio interview Emmy Winner Charlotte Robinson host of OUTTAKE VOICES™ talks with Anna Dubrowski and Sylvain Bruni, Co-Chairs of InterPride 2012 which celebrated its thirtieth anniversary in Boston, Massachusetts October 3rd through October 7th. InterPride is the International Association of Pride Organizers and Organizations from around the world. 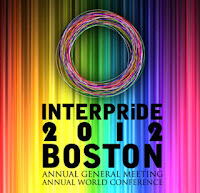 InterPride was created in Boston in 1982 after Pride organizers from Boston, New York, San Francisco, Chicago, San Diego and Los Angeles convened to form the National Association of Lesbian and Gay Pride coordinators. InterPride was established to promote Lesbian, Gay, Bisexual and Transgender Pride on an international level to increase networking and communication among Pride Organizations and to encourage diverse communities to hold and attend Pride events as an educational source. 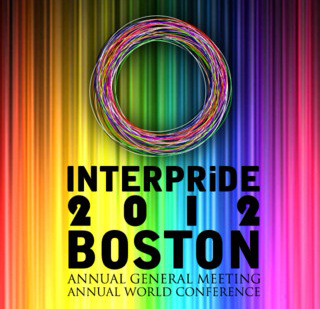 InterPride accomplishes its mission with regional conferences and an Annual World Conference (AWC). At the annual conference InterPride members network, attend events and collaborate on an international scale. We talked to Anna and Sylvain about this year’s InterPride Conference and issues facing our LGBT community. InterPride strives to create a world where there is full cultural, social and legal equality for all. InterPride hopes to raise awareness of cultural and social inequality through its network of Pride organizations and to effect positive change through education, collaboration, advocacy and outreach. InterPride 2012 Conference was hosted by Boston Pride.